I’m here to talk a little bit about stretching on the Susan G. Komen 3-Day®, but first things first: I am not a doctor, a physical therapist or an athletic trainer. 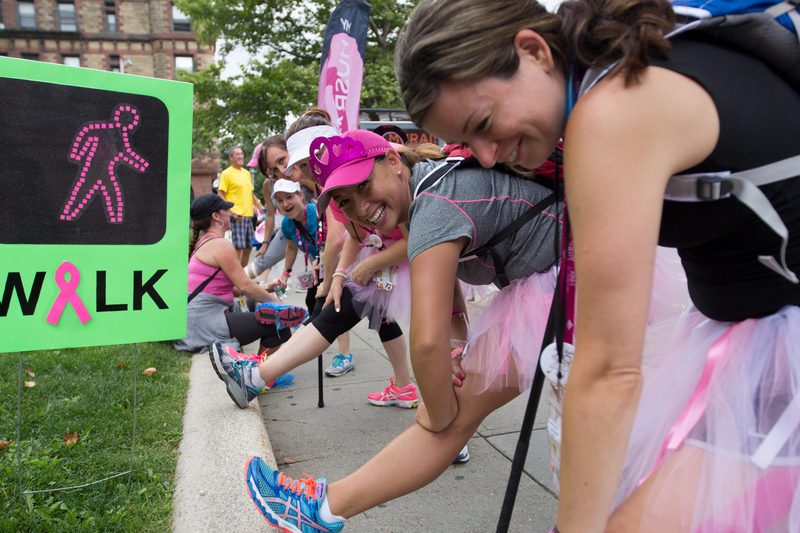 There are important health benefits related to stretching, which you should discuss with your practitioner before taking on the Komen 3-Day. But for today, one walker to another, I’d like to offer my take on the importance and benefits of stretching on the 3-Day®. The first benefit is the simplest: when your muscles are aching and working to the max, stretching feels good. Why wouldn’t you want to do something that makes you feel better? This Isn’t a Race, People! I’ve never run a marathon, but I know that for most long distance runners, the objective is to finish with a good time, without stopping. For athletes striving toward that goal, stretching is something they will focus on before and after their event, but probably not during. The 3-Day® is different. It’s not a race, no one is being timed, and not only is it okay to stop in the middle, the route is designed in a way that encourages stopping. 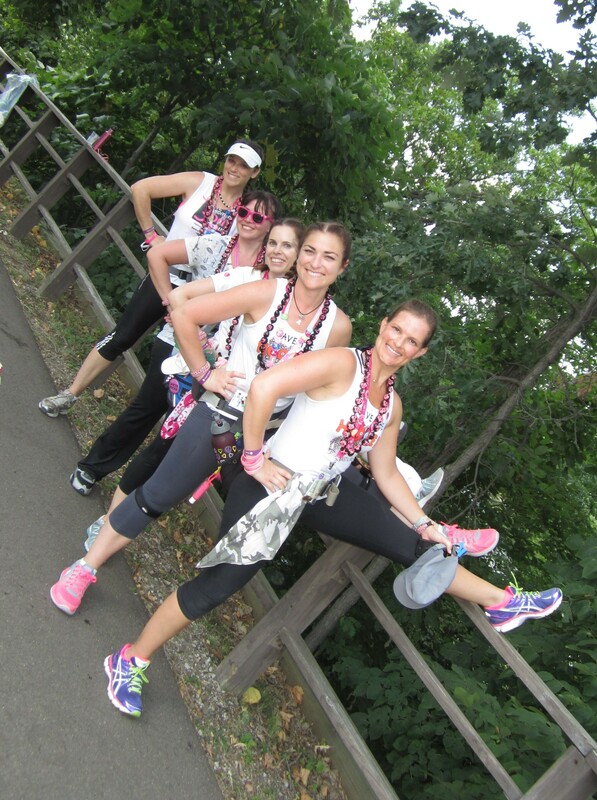 Those pit stops are there for a reason—well, lots of reasons—and one of them is stretching. Stretch break and photo op. Boom. Two birds. Taking good, thorough stretches at pit stops and the lunch stop is a no-brainer. But you can work stretching in throughout your walk, even if you’re not at an official route stop. For starters, you can stop any old time you want, as long as it’s done safely, and in a way that doesn’t inconvenience or endanger other walkers. Stoplights are awesome for this. You can even stretch while you walk, by changing up the length of your stride (think long, lunging steps), putting some emphasized swagger in your hips, or stretching your arms, shoulders and neck as your feet and legs do their thing. I’m a fast walker. It’s just the pace I’m comfortable with, and I like to crank through the miles quickly. I’ll be honest: I have been guilty of neglecting those stretching breaks in favor of keeping my pace up. But trust me when I say that I pay the price for skipping the stretches. The 3-Day’s recommendation is that you stretch at least 5 minutes for every hour you walk. Take the time to do that, even if you don’t feel sore while you’re walking. Your body will thank you for it in the morning. Walking 20 miles a day is something that most Americans in 2014 are not accustomed to doing. Hopefully, by the time you get to the 3-Day, you’ve trained well to build up your body’s stamina and strength, but regardless of how much training you’ve done, 60 miles in three days will take a toll on you. Stretching is a simple measure you can take to reduce the strain and pain of such a long stroll, and speed your recovery when the walk is over. 3-Day walkers, you can find an extensive stretching guide on page 11 of your Training Handbook, found in your Participant Center. What are your favorite go-to stretches? Tell us in comments!